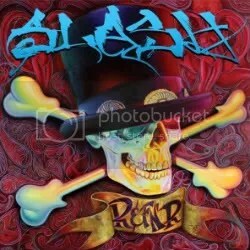 Slash’s debut solo album was one of my favorite albums released in 2010. I loved the variety in it and the different styles he was playing thanks to the range of singers he chose to work with. On that album, he recorded two tracks with Alter Bridge vocalist Myles Kennedy. Kennedy then went out on the road with Slash as his touring vocalist while promoting the album. 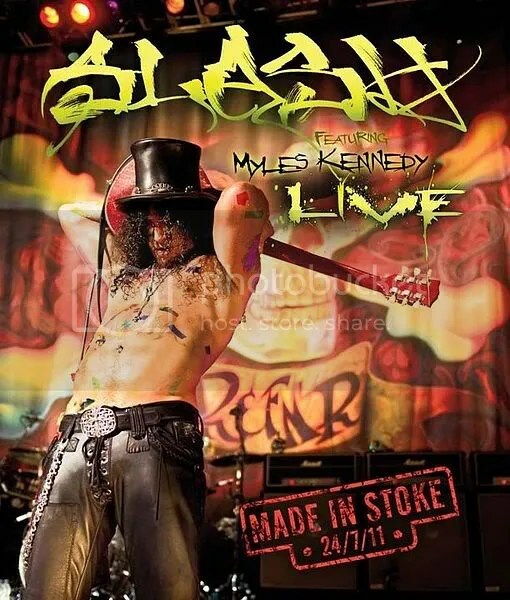 The result of that tour was the release of the Made In Stoke live album and the announcement that the next Slash album was going to feature Myles doing all of the vocals. Honestly, I was a bit disappointed at the announcement of Kennedy being the only singer on the album. I thought maybe Slash could’ve gone the Santana route of working with a variety of singers with every album. 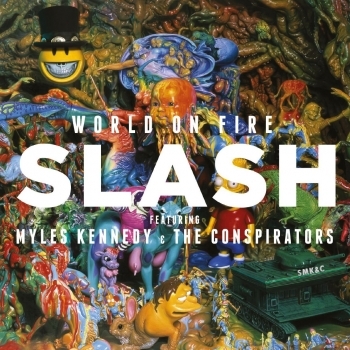 I thought the two Kennedy songs from the first Slash album were pretty mediocre as well so that also added to the bit of disappointment I had over Myles apparently becoming Slash’s permanent solo vocalist (they also co-wrote the entire album together). There is good news here for those that didn’t like Slash working with Fergie, the guy from Maroon 5 or whoever else. 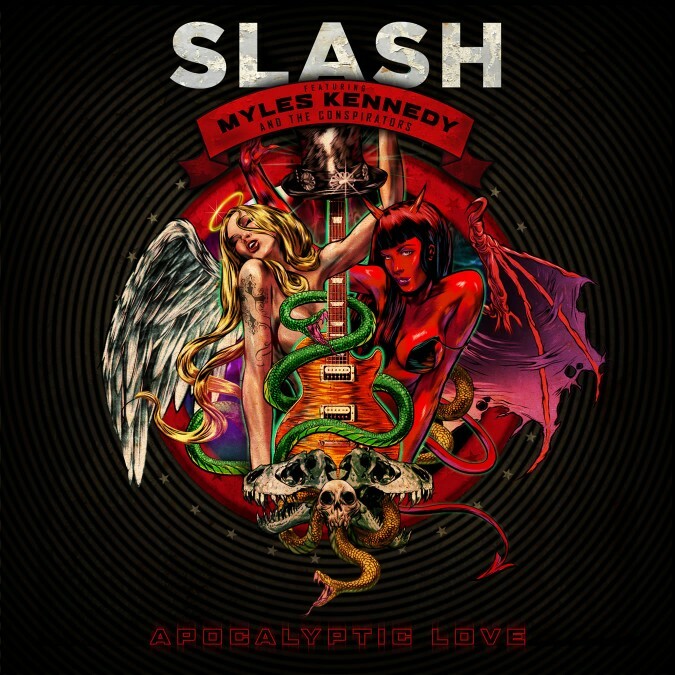 Apocalyptic Love is pretty much stripped down rock ‘n’ roll that brings to mind all of Slash’s previous groups: Slash’s Snakepit, Velvet Revolver and Guns N’ Roses. In short, it’s Slash being Slash. That said, the music is solid but there were only a few songs that immediately stood out to me: “You’re A Lie”, “No More Heroes” and the bonus track “Crazy Life”. It has taken me a lot of spins to pick out any other favorites from this release. In time, I’ve grown a fan of about half the album while feeling like most of the rest is no-frill, no-inspiration rock ‘n’ roll. It’s not bad music if you’re using it for background noise but a lot of this music just doesn’t hold my attention. Overall, Apocalyptic Love is a solid effort but disappointing considering the previous album gave some great tracks like “Nothing To Say”, “Beautiful Dangerous” and “By The Sword”. Still, if you want your Slash fix, this’ll tide you over until the inevitable Velvet Revolver reunion occurs. My particular copy came with the Slash Fanpack that was released by the UK’s Classic Rock magazine. It came with a poster, a special edition of the album that features two bonus tracks, a pin and an in-depth magazine about Slash, Myles Kennedy and the new album. What’s the full name of this album? And who is the artist? Is it Slash or is it “Slash featuring Myles Kennedy”? I’ve seen a number of websites not including this as a Slash solo album. And is the album’s title Made In Stoke 24/7/11? Some websites are calling it Live In Stoke or just Live. I’ve also seen it referred to as Featuring Myles Kennedy Live: Made In Stoke 24/7/11 and or even just Featuring Myles Kennedy! The last two just seem odd. Personally, I think the title should be Live: Made In Stoke 24/7/11 with the credited artist being “Slash featuring Myles Kennedy”. The date (and its formatting) is a whole other issue, so let’s not even go there. Title issues aside, this stands as a great live album (which was recorded July 2011 in Slash’s hometown of Stoke-on-Trent, Staffordshire, England). Slash has said he’s a big fan of live albums because that’s where you get a sense of who the artist really is and I have to say he’s done a fine job putting out his own double disc live album! I don’t really know if he could’ve picked a better singer than Myles Kennedy to handle all these songs. He’s covering a LOT of singers on this album (Axl, Scott Weiland, Ian Astbury, Rod Jackson, M. Shadows, Chris Cornell, etc.) and doing a fantastic job of it. He sounds especially great on the GNR songs. Just put him in Velvet Revolver already! This album really runs the gamut of Slash’s career. There are 7 GNR songs, 4 songs from the Slash’s Snakepit albums (which I wasn’t expecting at all), 1 Velvet Revolver song (would’ve expected a few more) and 8 tracks from his self-titled solo album. It’s a good mix of everything. The song choices are excellent. I think the only glaring omission when it comes to GNR material would be “Welcome to the Jungle” but that’s a total Axl song so I understand leaving it off. Besides, “Been There Lately” was a great choice to open the show. It’s one of the better songs from the Snakepit era and it really comes to life when done live. The entire band sounds inspired through the whole show. This is great live album that never really gets boring thanks to the varied material throughout. If you’re in the mood for some classic live rock ‘n’ roll… this is it.